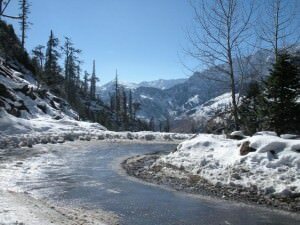 Hamta Pass trek is one of the most beautiful trek in the Manali region, affording views of lush green valleys, towering snow-clad mountains and barren hills with surrealistic forms and shapes. It’s an excellent option for the trekker who is reasonably fit. Leaving the Manali valley, the trek proceeds through forests of walnut, oak and the occasional alder.This was traditional alternative route between Lahaul and Kullu Valley before the road was made over Rohtang Pass. Met on arrival at International airport and transfer to hotel for overnight stay. Early morning transfer to New Delhi raliway station to board Shatabdi Exp. to Chandigarh. Met on arrival and drive (310 km) to Manali(1920 mt). On arrival check-into hotel for overnight stay. 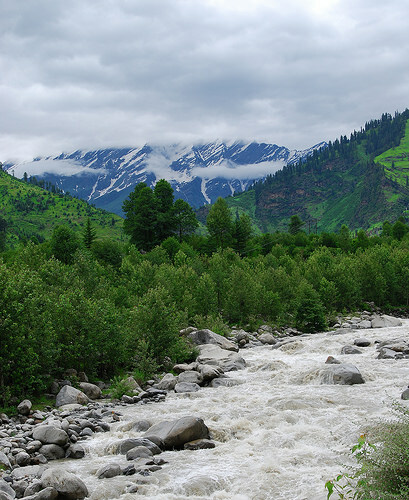 Morning at leisure to explore Manali and surrounding areas. Afternoon proceed for sightseeing tour of Manali. Visit Hadimba Devi Temple and Vashist Hot water spring. Return back to hotel for overnight stay. Drive to Preni – the starting point of trek. From Preni start trek with a steep climb, with a view of the Manali valley from above. 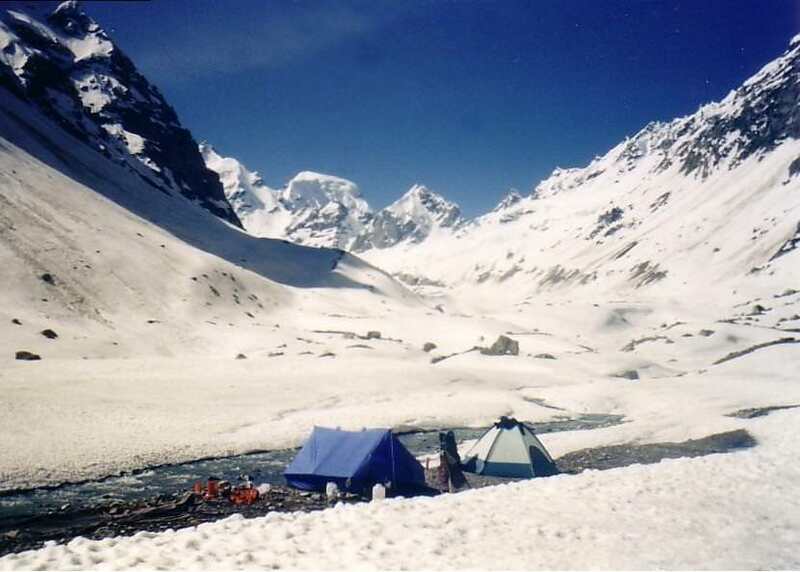 Camp at Marasu campsite (2745 mt). After breakfast start trek (6 hour) along the river valley with view of Jobri peaks. The trek crosess many glacial streams over improvised wooden bridges. Passing through a narrow gorge and arriving at Chikkha (3140 mt). Overnight stay in tented camp. After breakfast trek (6 hour) through alpine meadows which is full of many alpine flowers. Also many interesting glacial features can be seen along the way. 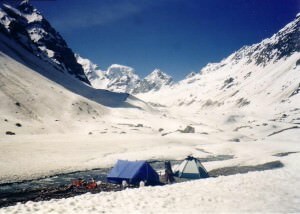 Set-up camp at Bhalu Gera (3660 mt), which is located in an open meadow within the site of the snow bound Hamta pass for overnight stay. Start the trek by climbing up the Hamta pass (4270 mt), walking on the snowfields. From top of the pass you can see Deo Tibba and Indrasan peaks of the Greater Himalayas. A short descent to the campsite at Hamta at 3900 mt. Overnight stay in tented camp. Todays trek is leisurely walk following the valley stream down to the mighty river Chandra. Arriving by the side of Manali-Sipti road. Walk for about an hr to reach Chhota Dhara (3350 mt). Set-up camp for overnight stay. Drive back to Manali via Rohtang Pass (3980 mt) and Marhi. 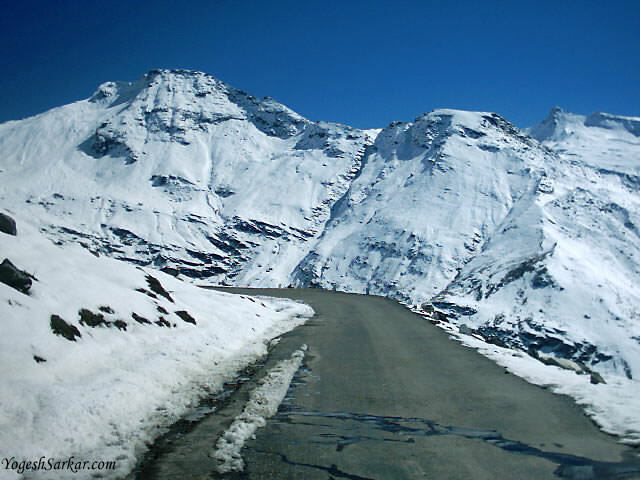 Rohtang Pass offers splendid view of Lahaul and Spiti Valley. Overnight stay in hotel. Drive back to Chandigarh (310 km). Stay overnight at Chandigarh. If time permits, enjoy the evening at Lake club. Overnight stay in hotel. In the morning, visit rock garden and lake club. Later drive back to Delhi. On arrival check-into hotel. Day at leisure to explore Delhi on your own. Later transfer to airport in time to board flight to onward destination.